We went to Osaka Months ago. 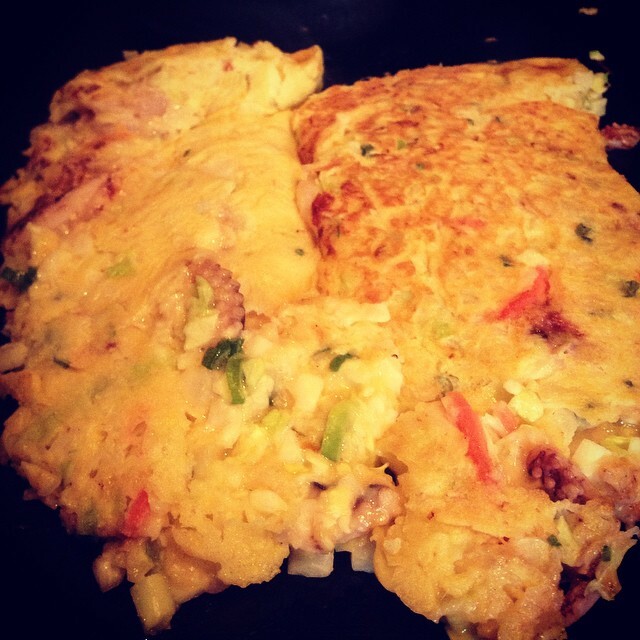 We met the pregnant Osugi先生 and eat in a small diy okonomiyaki. The place was not fully furbished which makes me wonder if the place was on soft opening. 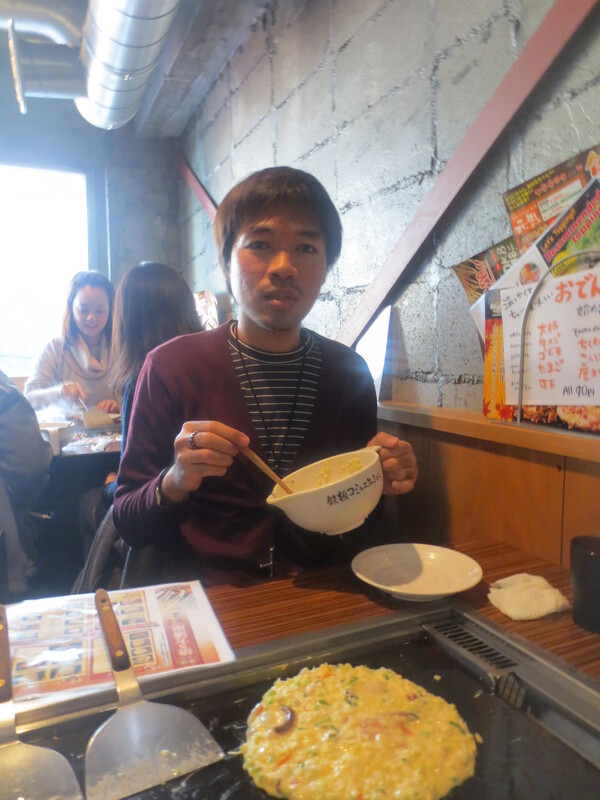 Nevertheless, it’s my first time to eat my own okonomiyaki. Usually man gud nagapalit ra ko ug kanang ginahimo sa akong atubangan. Service: Sensei is there to the rescue. Not problems. Food: Basically, most of us didn’t like the food. But since it’s do it your own, we have the choice to put tong mga kaechosan sa daplin nga we think makapalami niya. And putting my frustrated sous chef mode, I somehow manage to put this food to reach a rating of 7 (which is a passing rate). Ang kelangan lang, more salt and spicy takatak. It was yummy imho. Ni try pud mi atong other alternative nga i forgot the name. It was so bad, i cannot keep myself from putting the parahalang thing para lang malami sha. And I actually removed it from my senses while rating this experience. <= surely that one is one yucky japanese dish. Surely the food experience and the chika with 先生 was worth all the waiting while mafry ang okonomiyaki. And we also met Arnlee sa Osaka. T’was fun. I wont probably go back. They got lot of flavor pud for the okonomiyaki. Naai pork, vegetables, seafood, mix. etc. And it was eat all you can! YeahBAh!